The list of publishers embracing mobile devices as a viable platform for their content continues to grow. 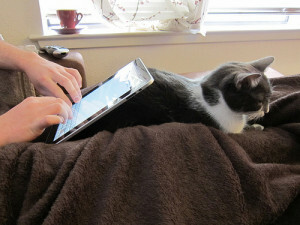 The iPad is receiving particularly strong love. Rupert Murdoch’s News Corp. recently announced its upcoming release of a new national newspaper to be distributed solely via mobile devices, including the iPad. The newspaper will be general interest and will charge a subscription fee. It will also operate under the New York Post, meaning that the two will share reporting staff among other things.”We’ll have young people reading newspapers,” the 79-year-old Murdoch said during the company’s Aug. 4 earnings call. “It’s a real game changer in the presentation of news.” No official launch date has been announced yet, but some sources indicate that it could happen by the end of this year. There is also no indicate yet of what the subscription fee might be, but News Corp.-owned The Wall Street Journal currently charges $4 a week. Photo by Veronica Belmont, used under its Creative Commons license.